If the Yankees can’t get their hands on free agent Manny Machado, who could meet with them this week, they have an interest in Freddy Galvis playing shortstop until Didi Gregorius returns from Tommy John surgery. But they aren’t the only team looking at the switch-hitting veteran infielder. According to a person with knowledge of the situation, the Pirates — who lost shortstop Jordy Mercer to the Tigers on Friday when he signed a one-year deal for $5.25 million — have a big interest in the 29-year-old Galvis, who spent six years with the Phillies and played for the Padres in 2018. In seven years, the 5-foot-10, 185-pound Galvis has played 655 games at short, 94 at second and 27 at third. He has played 11 games in left field and one in center. 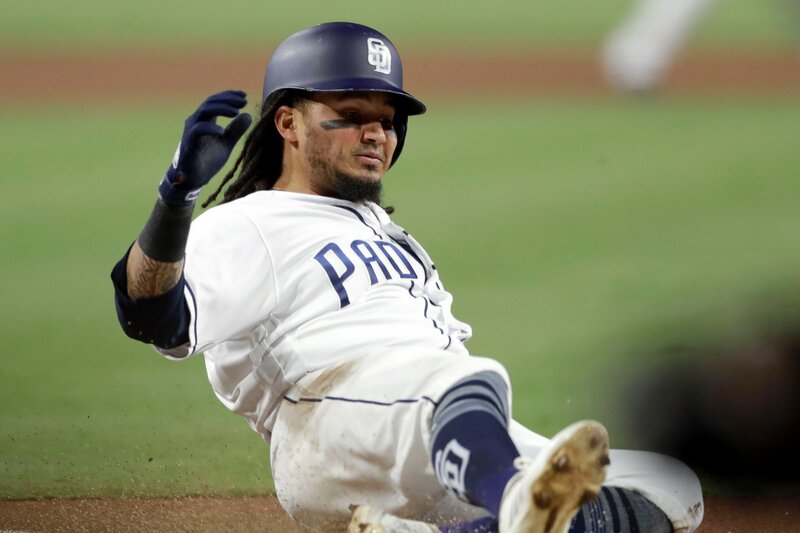 Galvis hit .248 with 13 homers and 67 RBIs in 162 games for the Padres in 2018. It was the second straight year Galvis played in every game. The drawback is that Galvis doesn’t fit the mold of a Yankees hitter since he has a career on-base percentage of .290. Reportedly, Machado has a meeting with the cash-rich Phillies this week, and he could follow lefty Patrick Corbin’s itinerary. Corbin met with the Phillies and the Yankees on the same trip before signing a jaw-dropping six-year deal for $140 million with the Nationals. The Yankees’ interest in the very talented Machado is genuine, but not at 10 years for $300 million. Obviously they are aware of the 26-year-old’s shenanigans during this past postseason, when he was accused of being a dirty player by the Brewers and foolishly said hustling wasn’t part of his skill set. Since then, Yankees owner Hal Steinbrenner, general manager Brian Cashman and manager Aaron Boone have had opportunities to say those incidents took Machado out the play for the Yankees, and have not done so. Machado hit a combined .297 with 37 homers, 107 RBIs and posted a .905 OPS for the Orioles and Dodgers. However, he batted .227 with three homers, 12 RBIs and had a .746 OPS in the postseason.